Samsung company is holding a press conference in London tomorrow, on the 20h of June and as rumors suggest, the Samsung Galaxy Note 3 will be official. In case the rumors are true, we can expect this handset to go on sale next month. As recently reported, AT&T is going to get the exclusive version of this device, similar thing has been done with the Samsung Galaxy S4. 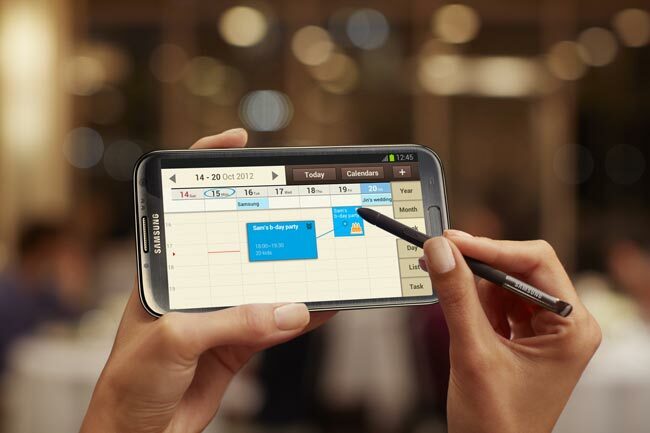 The Samsung Galaxy Note 3 is expected to be available with T-Mobile, Verizon, Sprint and a 32 GB version with AT&T in the US. In Europe this device could be launched with the major carriers including T-Mobile, Vodafone, Orange, Three and EE. When it comes to rumors on the specification of the new Samsung product, Galaxy Note 3, they haven’t, however, been confirmed by the company, but let’s mention just some of them. It seems like this device will feature a 5.99” full HD display with 1920×1080 pixels resolution. In Europe and the US, Samsung Galaxy Note 3 is rumored to come with Qualcomm Snapdragon 800 processor, most likely with a 2.3 GHz clock speed. Processing on the device will surely differ depending on the market. Exynos 5420 processor is another one rumored for this still unofficial Samsung product, even though details about this processor are unknown. What about other rumored specifications on the Galaxy Note 3? The device will most likely include 4.2.2 Jelly Bean, 2GB or 3GB of RAM, and the 16GB/32GB/64GB of built-in storage. The camera we expect will be a 13 megapixel one for video and photos with numerous features and hopefully the handset will come with additional front facing camera of around 2 megapixels for video calls. Once you get this new Samsung phablet, hopefully with Smart Pause, eye tracking technology and Smart Scroll, take a look at Samsung Galaxy cases at galaxyscases.net.